The vibrant Pink Lake (in certain weather conditions), 7km from Esperance, WA. The remarkable Lake Hillier is a 600 metre-long, bubblegum-pink oasis set among the lush greenery of Middle Island, the biggest island of the Recherche Archipelago off the coast of Esperance in WA. Separated from the deep blue of the Southern Ocean by a thin strip of sand and vegetation, it’s an arresting sight – and one that’s off limits to those on foot, so the only way to view it is by air. For flights, call local pilot Bob Rolland on 0428 912 210. The cost is $800 per flight, for five people. 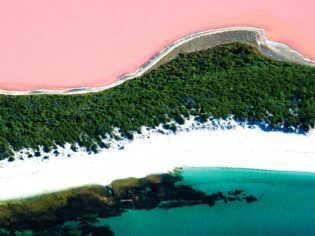 For something a little more accessible, try the aptly-named Pink Lake, around 7 kilometres from Esperance on the WA mainland, which turns a soft rosy pink in certain weather conditions thanks to salt-tolerant algae in the water. Walk along to the Pink Lake lookout for the best views. There are also other (non-coastal) versions, such as the Pink Lakes on the edge of Victoria’s Murray Sunset National Park. See visitesperance.com for more information. Wow I am mesmerized by these colours. 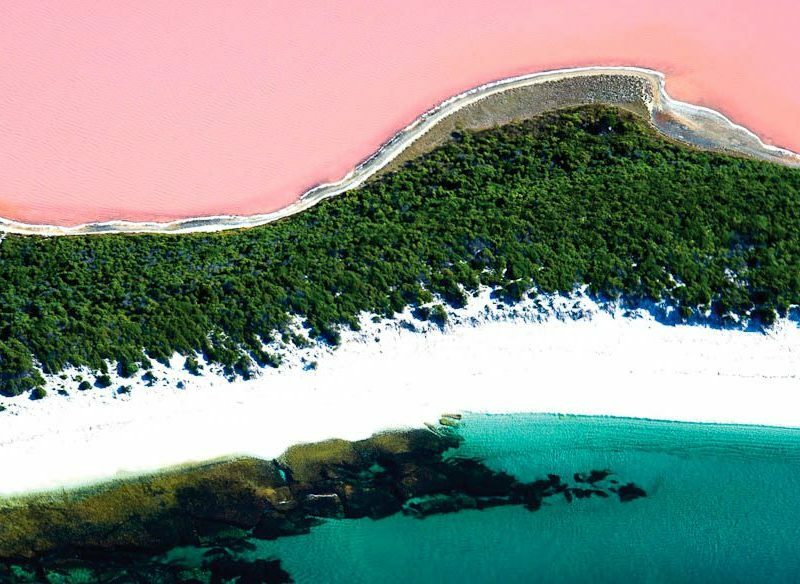 I’ve heard of this unique pink lake but have never been there! It must be a breathtaking view from the air! Absolutely gorgeous!